Official features of Farming Simulator 19 | FS19 What’s Confirmed? There is so little time left until the launch of FS 19 and slowly more and more information and details are revealed. 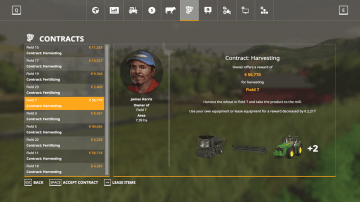 One of the most fascinating event regards to FS 2019 was FarmCon 18. The lucky 1000 attendees got a chance to hear about the upcoming version much more than the rest of the game fans. The best thing is that these attendees were friendly enough to spread some news about the Farming Simulator 2019 to the wider audience. Lars “Lisertan” Malcharek is the one who has shared the most information – big thanks for that, all fans are really grateful for getting some specifics related to the FS 2019! Friendly reminder: only little amount of details have been provided by the authorities yet. The information will be updated once more facts are released, so keep checking from time to time. You have many options to begin with. It can be equipment, vehicles or a farm. It’s also optional to start with just money. New Farmer: In this phase you receive a little farm, equipment and little bit of money. Farm Manager: This phase is mainly about receiving a considerable amount money but no farm or machinery is included. Start from Scratch: The most challenging starting point where you don’t get farm and equipment and only very little amount of money. It’s also possible to create your farm from scratch and broaden it later on. 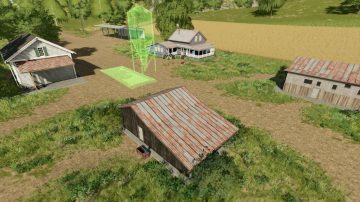 Lisertan claims that everything, such as houses, silos, stables and the rest will be peaceable in Farming Simulator 2019. Lisertan as well adds that there will be much more freedom in terms of deciding where to start your farm – the players will be able to choose all kids of locations from the map. For example, you will be able to choose a place in the forest, cut it and build whatever you need. Lisertan provides a lot of information about this building you farm from the scratch in the first Dev-Blog. It is explained really explicitly, therefore you should not miss it! Listertan overviews what will be changed and the most important how much freedom it will provide for all players. 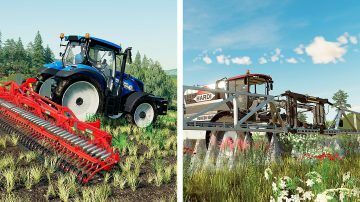 Farming Simulator 2019 will include the highest level of customization! 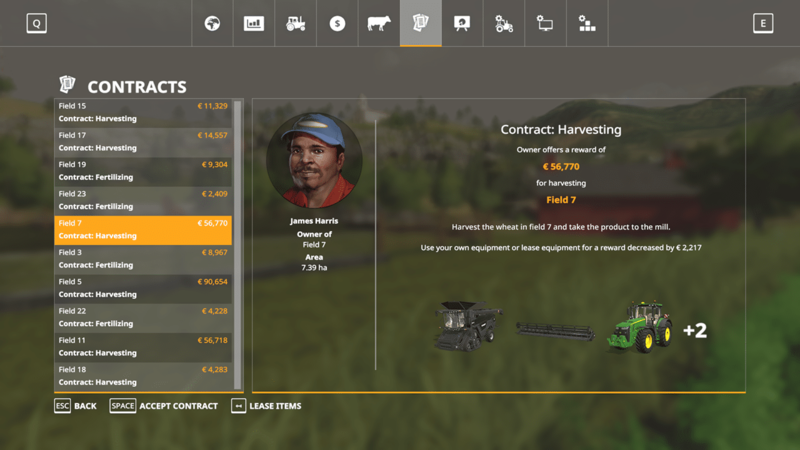 One of the updated features is fields – they are not included in the FS 19 anymore. Instead you will be able to acquire the whole area with all its objects. Listertan even created a hypothetical map of Estancia Lapacho which might look like the newly introduced parcel. 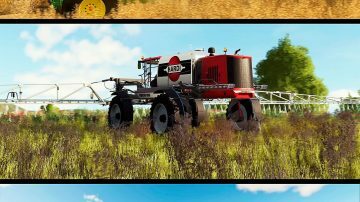 Of course, it’s not a final design but there are high chances that it’s something similar to what we’ll see in Farming Simulator 19. Additionally, there will restrictions of logging unless you own the parcel with those trees. We found this a really great update! Another feature is adapting ground to the placeable objects. This means that the ground will adjust according to the placeable’s form. Lisertan comments that this will help to avoid floating objects such as houses which don’t match the location perfectly. If you are short of money or have other plans, there will be an option in FS 2019 to sell your lands. 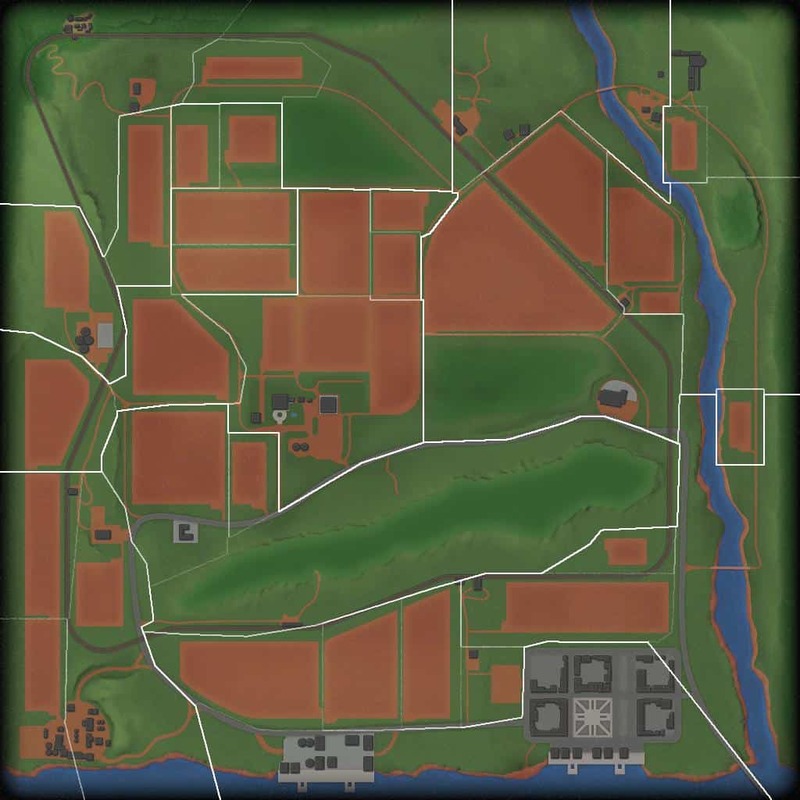 Upgraded version of South American map from FS17 and 2 new maps. Available locations: South America, USA, Western Europe. Two new objects: deers and birds, so you should see them from time to time. But don’t worry – they won’t have any effect on the game and your seeds. The user interface is expected to be more transparent. Sizes of maps will be kept unchanged. Felsbrunn is the name of European location in FS 19 and it is simply stunning. Although it’s not finalized yet and we have an access only to the early version, it’s still thrilling. There will be cars and people of course! Check out, if you can spot birds. Ravenport is a North American location and it must be imaginary – at least it seems that there is no references to this map. It might have been inspired by Iowa’s city Davenport. This would make sense as 90% of Iowa’s landscape are farms. Updated information (11 October): the guessing turned out to be wrong – Ravenport can be reference (only to some extent of course) to the West Coast. Ravenport has many similarities with Carlsbad which is located to the South from Los Angeles. However, check the map yourself, it’s amazing! What’s new with Crops and Animals in Farming Simulator 19? 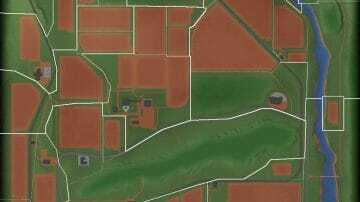 In Farming Simulator 19, you will be able to purchase and locate areas where animal are placed (known as nav meshes) freely. There will be different sizes of these nav meshes and it will determine how much animals you can have. In case you want to increase the amount of animals, you will need to pay for broaden animal areas. Cows, sheep, pigs and chickens are included in the FS 19. New function added to crops – they will be bending once you drive on them. The amount of how many animals can be kept in one stable is limited. Giants considers to introduce 3 sizes of stables. The biggest stable size would not have any limits. New crops introduced: cotton and oat. 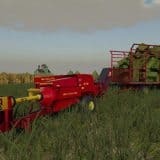 Crop destruction will be part of the FS 2019 base – it’s not mod anymore. You will have a chance to turn it on or off. When driving on crops, the damage level will depend on the wheels of your equipment or vehicle. Wide tires mean more damage while with narrow ones you won’t damage anything, so keep this in mind when choosing. Lime will be included in the base game as well. The good news is that you won’t lose money for seeds and fertilizer. You can store the leftovers until the next time. The soil compaction will be affected by the types of crops which means that you will need to adapt how many often you will plow. The invisible milk trucks collecting milk until the midnight are gone. You will be responsible for delivering milk in Farming Simulator 19. Chickens can be bought or sold! 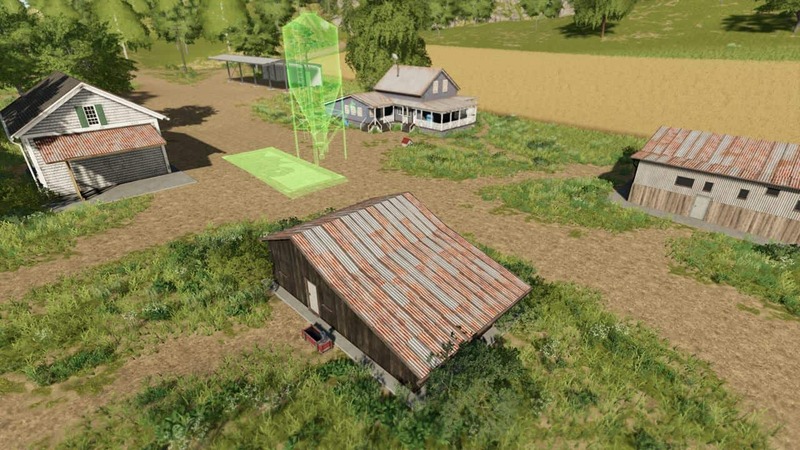 You will see two types of weeds – young and old – in FS19. You can remove young weeds with weeder. For old weeds you will need to use chemicals – herbicides and apply them using spayer. It’s important to get rid of old or unnecessary plants before harvesting – otherwise you will lose 20% of your crop yield. Farming Simulator 2019 will include horses for the first time. A player will be able to have the maximum amount of 16. The specifics with horses are that they won’t reproduce like the other animals, such as cows. You can increase their value by taking a good care, training. In this way, horses can get the rating of Five Stars. There will be 8 colors to choose from and you can even ride them! 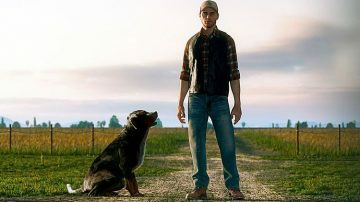 You will have one more new companion in FS 19 – a farm’s dog. It will accompany you and will come called by the name. 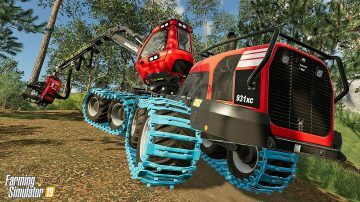 Some exciting upgrade is expected in Farming Simulator 19 in terms of vehicles – these will have gearboxes. Lisertan confirms that by saying that gearbox is really included in the vehicles. The main clues are if these will be completely manual or semi-automatic and how the control will work. This is something we really want to try! Some additional features added to the shop: before the purchase you will be able to see a 3D preview of the object as well as all changes of configuration. 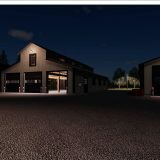 The function to move and zoom inside the FS 2019 shop is still available. HP classification is applied to the tractors in the shop. Player will be able to experience suspension animation added to the vehicles’ seats as well as animated brake pedals and throttles. Automatically attached hoses will connect equipment and the vehicles. Within time deterioration will be applied to the equipment. Tractor owners will notice the reducing speed and strength of their vehicles. The interior of vehicle gets more interactive – cabin lights and illuminated dashboard will be introduced in FS 2019. Wipers of windscreen are finally animated. 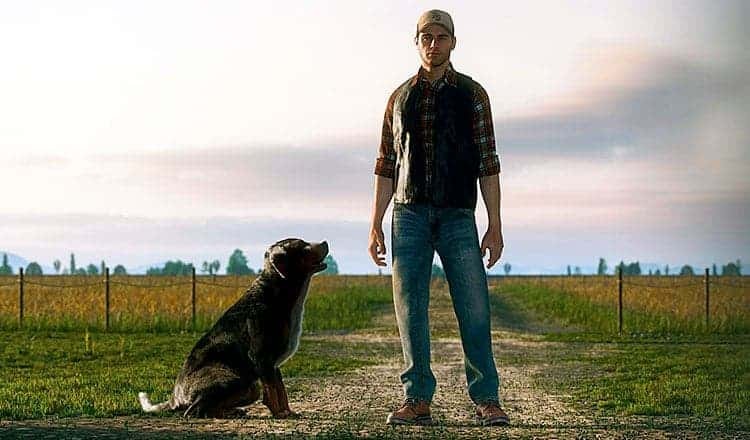 Exciting news that John Deer is included in the Farming Simulator 19! Harvesters by AGCO’s IDEAL will be part of the game too. Additionally, combines Fendt IDEAL and Massey Ferguson IDEAL will be added as well. One more brand – Danish manufacturer Samson joins the FS 2019 family! 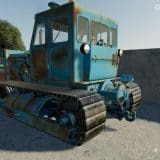 Some of the DLC vehicles that are part of FS17 will be removed. Current count of new vehicles is 38 but information might change. 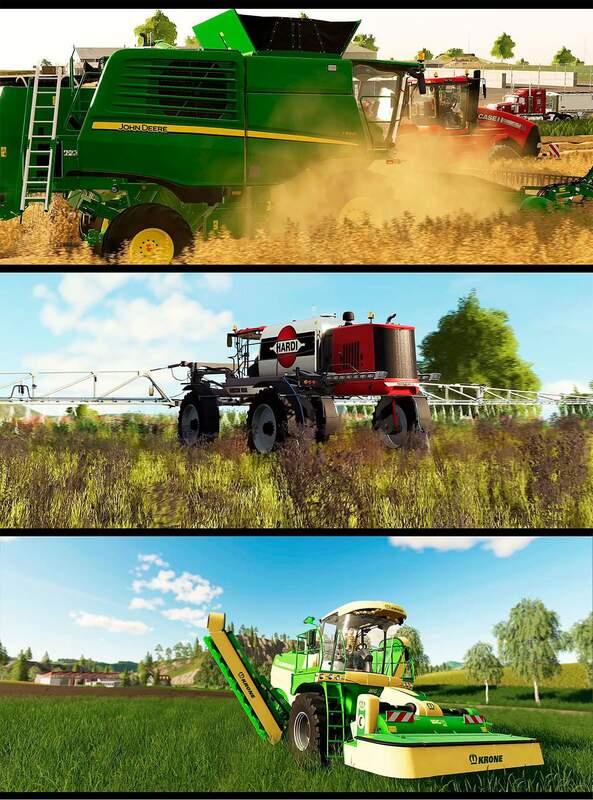 The first FS 19 gameplay was launched by Gamescom – it was the first glance to the upcoming game version. The video is simply stunning and the game seems to be of the best quality. It as well provides some important information about the game. Krone BiG M which was a part of some previous FS versions is coming back to the game. John Deer will have its own entrance to the Farming Simulator 2018 too. And it’s not all about the tractors – T560i combine is included in the video. Finally, Hardi is represented in the game for the first time too. Big thanks for the list to At0mic (“Discord”). Take a look to the video yourself and stay updated with the approved list of the vehicles and equipment in Farming Simulator 2019 site. CATV is a cargo all-terrain vehicles also known as “utes”. These utility vehicles has not been part of the FS game before. Well, there were few JD Gator models but nothing officially approved from Giants. One of these CATV’s is Mahindra Retriever and it will part of the game base in FS 2019. It includes two-seater 4×4 and a small bed. It’s the best suited for smaller transportation in your farm. In life, it has an engine of 83 horsepower and can drive up to 60 miles or 96 km/h. More and more specifications are being officially released by Giants. The list of new brands and upgrades is really extensive. One more well-known Japanese manufacturer brand Komatsu will join Farming Simulator 19. What a great news! You can see Komatsu Forest 931XC harvester below. We will see grain carts by a Canadian Elmer’s Manufacturing Company. 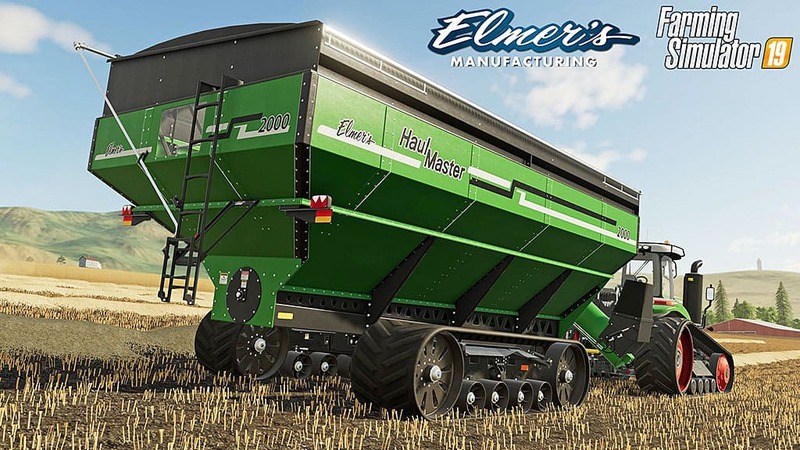 Can’t wait to try out those huge HaulMaster Grain Carts which capacity ranges from 1300 to 2000! Even more – you will be able to pic the preferable color. 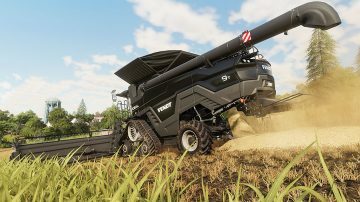 Farming Simulator 19: What’s New about Missions? In FS 2019 you will be able to decide if you use your vehicles or the ones provided by the field owner. You will earn more while using your own machinery. Another feature is a contract list which provides you information about the missions – no more mission hunting. Removal of time limits in the missions. Expanded list of missions, such as re-introduced transport mission. Finally, missions will be available in multiplayer too. Giants has a goal to remove rain leaking through roughs and they are already 90% successful. There should be some improvements regards to AI workers but nothing specific yet. Multiplayer will include up to 4 different teams and they are even trying out 8! There might be some improvements in compatibility as Giants were in contact with Courseplay developers. It will be available to sleep through the night in Farming Simulator 19. You can cut the trees only in the lands you own. Characters will be able to show-off their favorite brands – branded caps will be introduced in FS 19. Due to miscommunication between Giants and publishing company Focus Home Interactive some misconceptions about the game engine’s platform arose. It was wrongly announced that FS 19 will be built on entirely new platform. This was denied by Lisertan who is official Giant’s community manager. It was explained that current engine will be only renewed but not removed. Sky will be dynamic and much more realistic. It will include real 3D clouds models which change color before rain and adjust to the wind. Realistically moving sun and mood will be part of FS 2019. Fog will be volumetric which adds additional realistic experience. Players will be able to experience the quality of the movie with depth of field function which blurs everything that is not focused. Game graphics will be improved with color grading, tone mapping. New lighting effect – Bloom. Another new feature added to lightning is global illumination. Players will as well experience enriched dynamic eye adaptation when eye adjusts according to the changes from dark to light. Finally, light will be scattered by various objects.